Oh the possibilities when selecting Countertops! 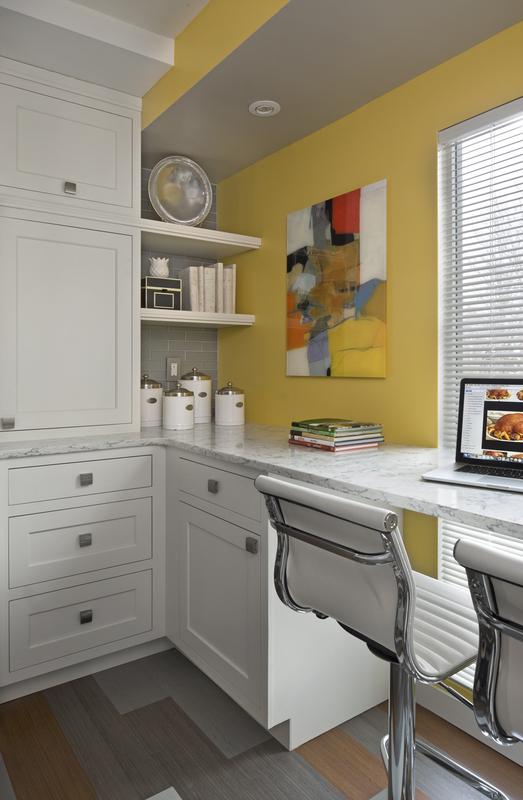 One of the most common questions our designers receive is regarding the right kitchen countertop for their kitchen remodel. Given there are a wealth of options available, it’s important to consider two factors: durability and appearance. Here is our guide to 7 popular materials to help you decide what’s best for your kitchen. 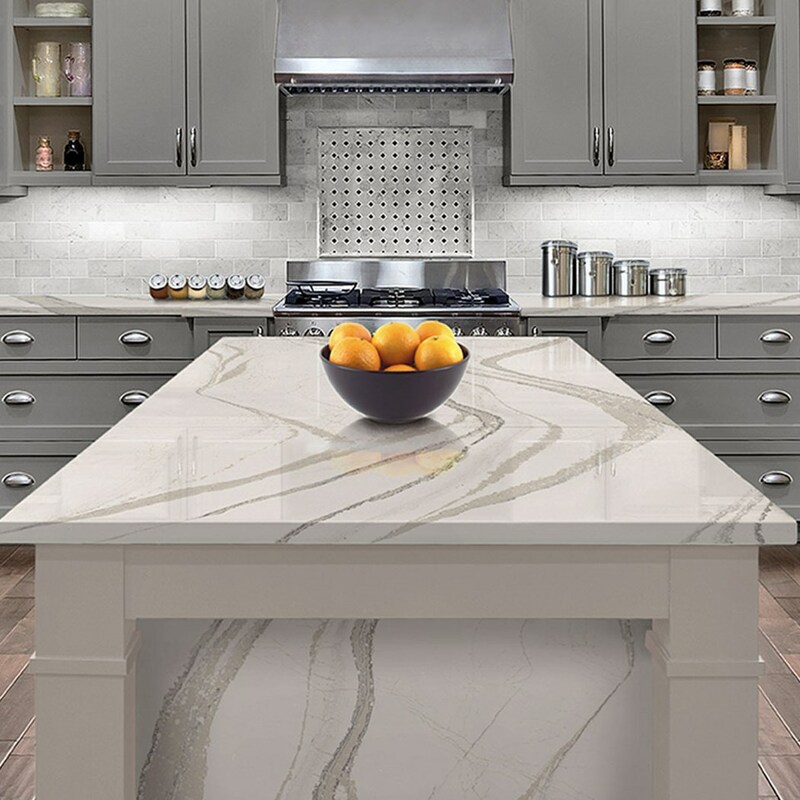 Engineered Stone, typically uses about 90 percent quartz in the manufacturing process, which yields a tough product, resistant to scratching and practically maintenance free. Marketed under the names Caesarstone and Cambria, this is now contractor and designers number one choice as it provides a look similar to marble without the maintenance and will hold up better to heavy use. Granite still offers versatility and a strong surface of a natural grain, which gives each installation a unique look. The downside to granite is that it’s porous, which means a yearly sealing is required. It’s also easy to alter the look of granite by finishing it in a different technique, like leathering or honing. Marble creates an elegant and sophisticated feeling, regardless of whether it has a polished or honed finish. The stone is highly resistant to heat, cracks, and breakage, but it is porous, so be prepared to cook and entertain with care. 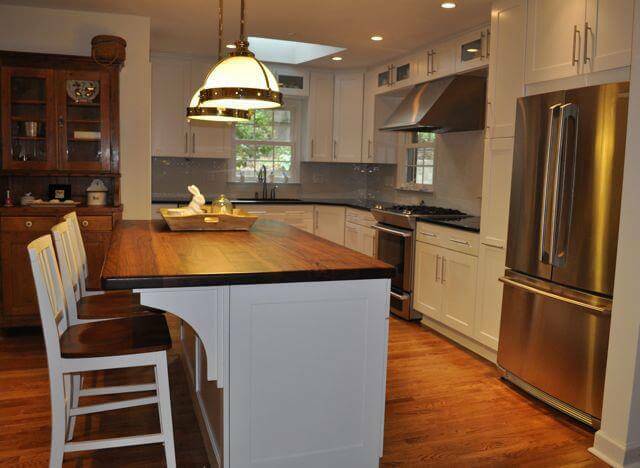 Butcher block countertops are a versatile and warm surface, which is surprisingly durable, since scratches can generally be buffed out. This top works well in contemporary or rustic settings but one must be mindful of protecting it from direct heat and extra hot cookware. Stainless steel countertops are impervious to heat and bacteria, which makes it an easy material choice amongst professional chefs. As long as you don’t mind fingerprint smudges, that is. Stainless steel fits a variety of looks aside from just the professional cook, which include modern industrial to country farm house. This material can take the heat, upwards of 800 degrees to be exact. Soapstone is a countertop favorite because despite its pliable texture, it is heat-resistant and doesn’t readily absorb stains. Though it can be scratched rather easily, imperfections fade or can be sanded out. Concrete countertops are a handcrafted surface popular in kitchens that offer complete customization. With concrete, you can have a functional and beautiful countertop in any color, finish, size and shape of your imagination. These countertops go well in rustic and industrial kitchens. Keep in mind with concrete that maintenance is necessary every 3 years and cracks are inevitable. 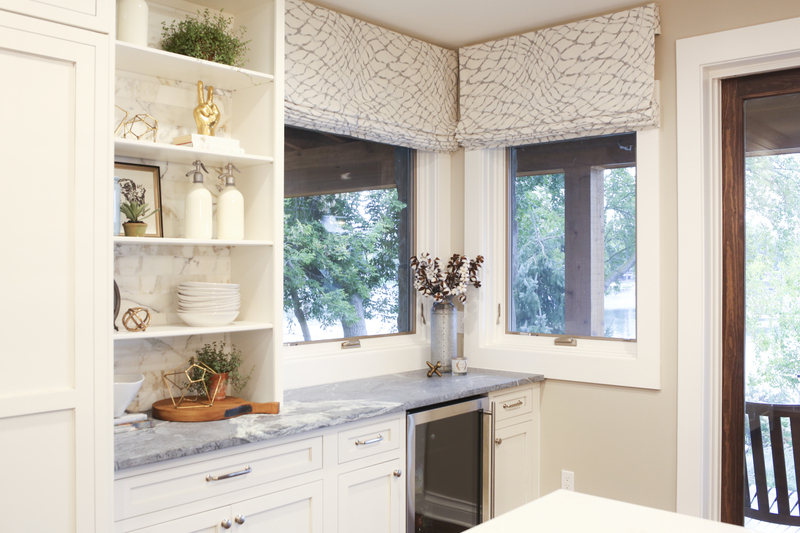 Choosing the right kitchen countertop can be tricky (and expensive!). Our best advice to our clients is do your research of all materials that are a possibility before selecting the right one for your space.